I did a tiny sneak last week for Simon Says Stamps new release Hop To It, and this is the full reveal. I really like to replace letters in greetings with objects, and I love how the tiny flower pot makes a perfect "A". It just makes for a fun card! 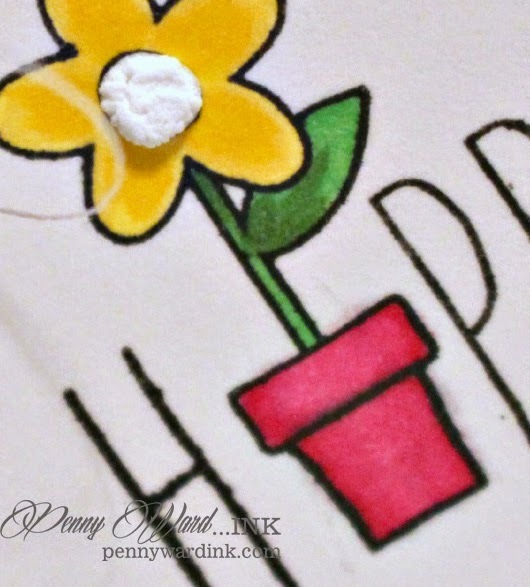 As I am writing this post I see that the flower pot would have been perfect for the "I" in Spring also. Used up a little of my pattern paper (one of my New Years resolutions). Yay! The veneer butterfly has gesso painted on, then I dropped ink onto it and watch it do its magic. While wet, I sprayed it with Fixative to set and iced it with irRESISTible Pico Shimmer. The adorable flower center is made with Radiant Neon White Amplify! Earlier this week I did a couple of sneaks for this card. Both cards were stamped with the same stamp set, but I was in a coloring mood and came up with this little cutie. By leaving off a sentiment, I am able to use this card for almost any occasion. I just couldn't resist using the new Radiant Neon White Amplify! 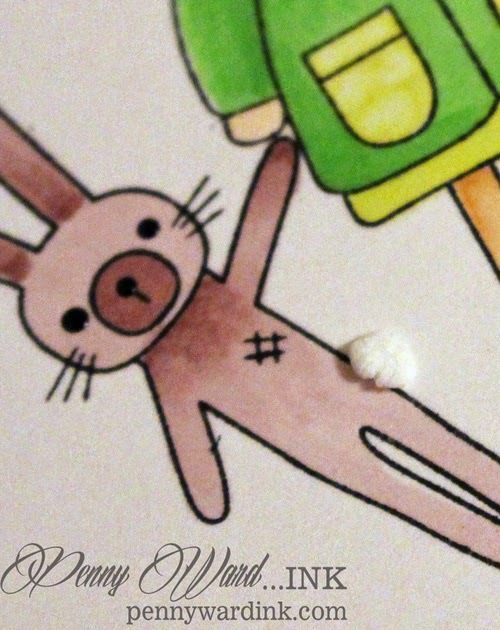 for his cottontail. Imagine Crafts/Tsukineko: Radiant Neon White Amplify! you make my day with your comments! It's Friday and I want to welcome a few newbies to the blog this week. Thanks you so much for taking the time to stop by and leave comments...I so enjoy reading the. SO fun to see full reveals of the cards you have been sharing peeks of!!! They are adorable and in typical Penny - style they made me smile!! 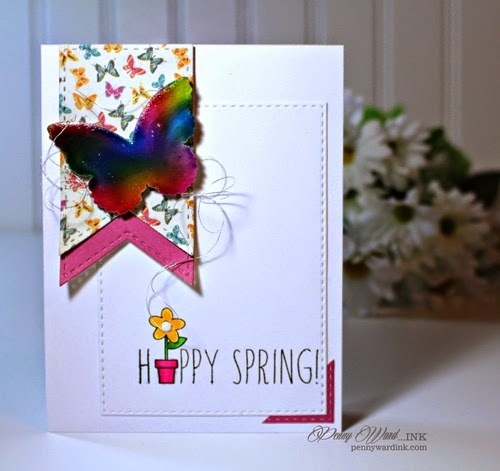 Your coloring looks terrific and I am super in love with some of these images - so fun and spring-y!! Have a totally great weekend!! !